Use only a quality vacuum. Heavy vacuums can mat down fibers over time and cause carpets to fray or lose softness. Consider a vacuum fitted with a HEPA filter, particularly if you are dust sensitive. Dust mite allergens are removed and stay in the collection bag or bin. To prevent excessive fuzzing: turn the brush off, or change the head when vacuuming loop pile, cut pile or berber carpet. 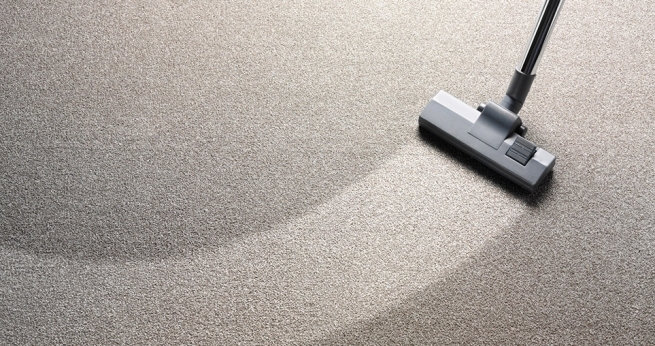 Check and adjust the height of beaters if fitted regularly, to ensure the carpet is not damaged by excessive beating. Depending on usage, carpet should be professionally steam cleaned every 12 months. This is often required to maintain a carpet manufacturer’s warranty! Clean up all spills immediately to avoid the penetration of a stain into the carpet fiber. Liquid spills (particularly hot liquids) if allowed to cool or dry, the stain will be more difficult to remove. DIY attempts at spot removal can cause permanent stains, fiber damage, and discoloration. It is best left to professionals. Protect carpet from prolonged periods of direct sunlight with curtains or blinds. This will prevent permanent color fading. Ready to replace your carpet instead? Visit an Area Floors location and one of our expert team members will help you select a quality carpet based on your needs, wants, and budget!